A batch of five DF4s from CNR's Tongliao Depot took over half the freights east of Chabuga at the beginning of December 2003. Ironically, the 1983 and 1984 built diesels were older than many of the QJs they were replacing. 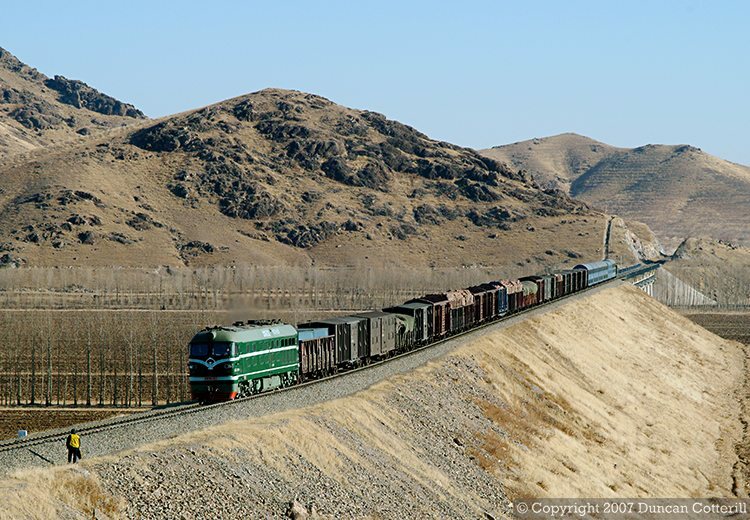 DF4 0549 climbed away from the big viaduct west of Fuxindi with a freight for Chabuga on 7 December 2003. The unusual grey vehicles at the back of the train were double deck car carriers transporting new road vehicles.